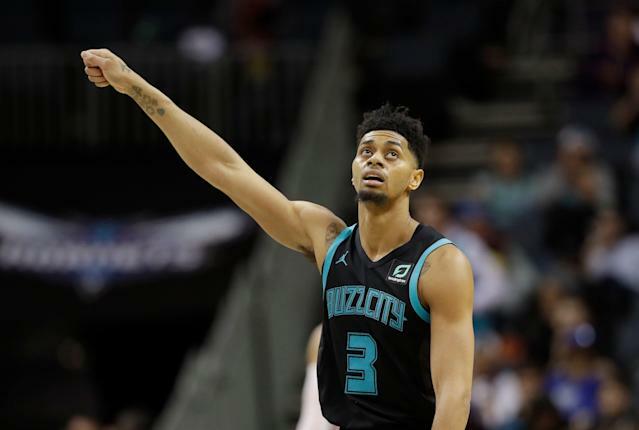 Down 114-112 to the Raptors with three seconds left to play, Hornets guard Jeremy Lamb lost control of the ball, and the game – for just a split second – looked to be over. That is, until Lamb recovered, and hit one of the craziest buzzer-beaters we’ve seen to win 115-114. Now 33-39, the Hornets sit 10th in the Eastern Conference with 10 games left to play. They’re 1.5 games back on the Orland Magic for ninth place and 2.5 back on the Miami Heat for eighth, so every win matters.